Talks to end the partial US federal government shutdown will resume on Sunday, President Donald Trump says, as the stalemate enters its third week. Mr Trump tweeted there was “not much headway made today” in talks with Democratic party representatives. Democratic House Speaker Nancy Pelosi meanwhile said her party would introduce appropriation bills to try to reopen certain agencies. About 800,000 federal workers have been without pay since 22 December. The stand-off has seen Mr Trump withhold support for a bill to fully fund the government until he gets money for a US-Mexico border wall. “We have a five-month -ld son so we have about a month left before we’re going to have to start having those difficult conversations about what to do next,” he said. Mr Trump said a second meeting with the Democratic Party heads was scheduled for Sunday, and reiterated his call for a wall to “fix the problems on the Southern Border”. He had earlier met with Ms Pelosi and Senate Democratic leader Chuck Schumer. 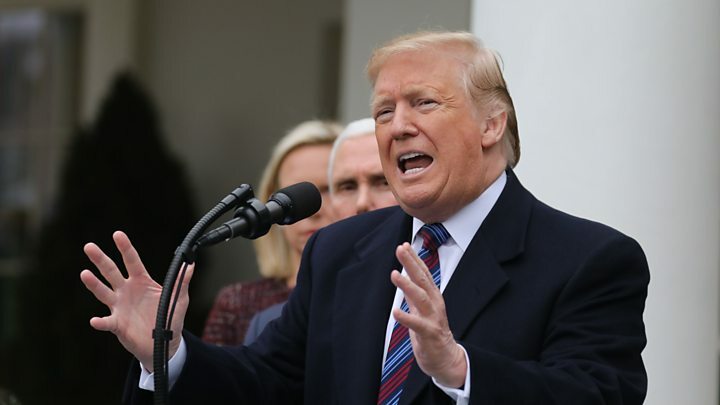 President Trump also said he could declare a national emergency to build the proposed border wall without the approval of Congress. He said he was prepared for the partial government shutdown to last months or even years. A Reuters/Ipsos opinion poll reportedly shows 50% blame the president for the shutdown, while 32% see the Democratic Party as culpable. 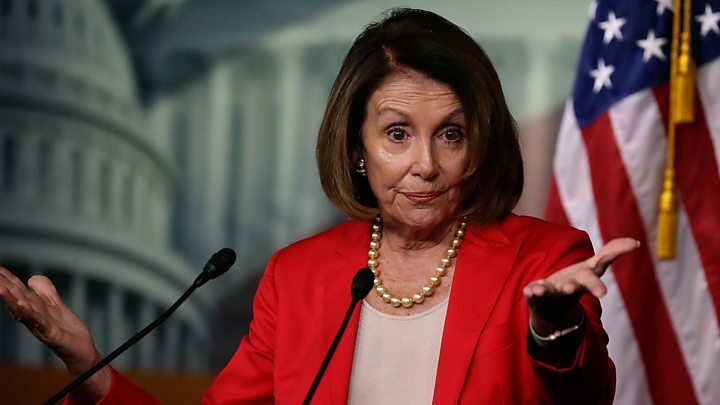 Ms Pelosi said after the failed talks on Saturday that her party would introduce piecemeal bills aimed at reopening certain government agencies, starting with the Internal Revenue Service and the Treasury Department. The House Speaker has previously called Mr Trump’s border wall plan “a waste of money” and “immoral”. President Trump believes a wall is the best way of stemming an influx of drugs and gangs from Central and South America. Democrats disagree however, and – emboldened by their new majority in the House of Representatives – are refusing to discuss funding for border security until the federal government is reopened. Democrats, who now hold the majority in the House, passed spending bills on Thursday to reopen the government, including $1.3bn (£1bn) of border security funds until 8 February. But the legislation cannot take effect unless it passes the Republican-controlled Senate, where leader Mitch McConnell said his party would not back any measure without the president’s support. The Kentucky senator called the Democratic budget “a time-wasting act of political posturing”. In Friday’s news conference, Mr Trump also told reporters he might consider asking his cabinet to decline a $10,000 pay rise that is due to take effect because a pay freeze has expired as an inadvertent result of the shutdown. The fiscal fiasco began when Congress and Mr Trump failed to reach an agreement over a budget bill in December. Two vulnerable Republican senators up for re-election in 2020 – Cory Gardner of Colorado and Susan Collins of Maine – have broken ranks to back approving the budget and ending the shutdown. The White House is again floating the idea of a deal for “Dreamers” – immigrants who illegally entered the US as children. 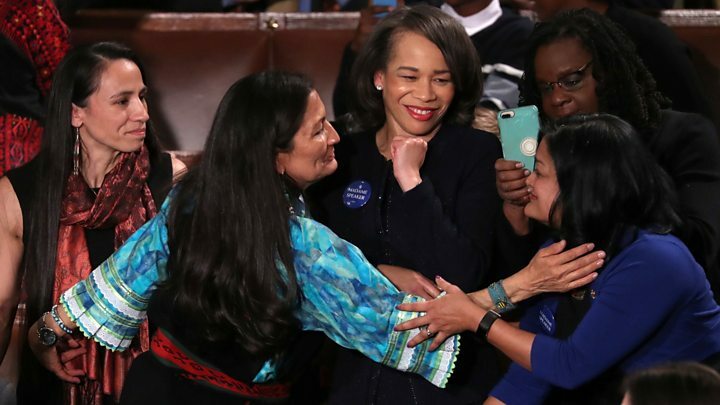 Democrats want to ensure that these individuals are shielded from deportation, but have insisted that they will not support a deal over wall funding. Vice-President Mike Pence told Fox News the deal was being “talked about”, but that Mr Trump said no deal was possible “without a wall”.